You are here: Home / DUI / What happens to my driver’s license after a DUI? One of the most immediate impacts on your life when you are charged with a DUI is the license suspension. Not being able to drive, especially in Idaho, would be crippling to anyone’s life. You cannot get to work, you cannot take your children to school, you cannot go to the doctor, you cannot get groceries. We do not live in New York City, there is not an abundance of public transportation. So the first thing on someone’s mind when they have been charged with a DUI in Idaho is, what is going to happen to my driver’s license? When you are stopped for suspicion of being under the influence of drugs or alcohol, the officer will have you submit to field sobriety tests. If you fail the field sobriety tests, you will then have to submit to a test that will measure the amount of alcohol in your breath, urine or blood. (read here about whether you should submit to this test) Generally the police officer will have you blow into a ‘breathalyzer’. The ‘breathalyzer’ is a device which measures the amount of alcohol in your body. However, you have the right not to voluntarily submit to a breath test. You do not have to submit, but if you choose to refuse the breath test the Idaho Department of Transportation can suspend your license automatically for 365 days. That’s a whole year with no work privileges of any sort during the entire period. The reason they are allowed to do this is because of what is called ‘implied consent’. When you get a license you are consenting to submit to drug and alcohol detection tests. And if you refuse, you lose your privilege to drive on Idaho’s roads. You may lose your license for a year if you refuse an evidentiary test, but you may also avoid a dui conviction if the State cannot use the evidence in a DUI trial. On the other hand a maximum license suspension for a DUI is 180 days. What if you do submit to the breathalyzer and your BAC comes back at .08 or higher? 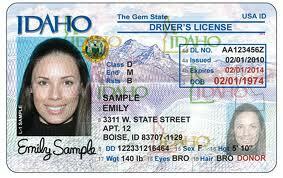 The Idaho Department of Transportation will then suspend your license for a period of 90 days. The 90 day suspension will not go into effect for 30 days. This will give you time to make other arrangements, and to appeal the license suspension. If you are planning on appealing the license suspension then you will want to do so within 7 days after being arrested. If you miss this deadline you will not be able to appeal the suspension. After the 30 day grace period is up, the suspension will go into effect and the first 30 days of the 90 day suspension will be ‘absolute’. What this means is you will be given no privileges to drive whatsoever. You will not be able to drive to work, school, doctor’s appointments, or anything else. After the 30 day absolute suspension is up you will be able to apply for a ‘restricted permit’. This is a permit that will give you the ability to drive to work or school. This is a benefit you will not get if you are suspended for refusing to submit to the breath alcohol test, since the entire 365 days suspension is absolute. After your license suspension is up you will be able to reinstate your privileges again. However, if you are ultimately found guilty of the DUI charge, your license will likely be suspended again by the court. The good news is, if the court does suspend your license they will give you credit for the suspension you did with the department of transportation. So if the court suspends your license for 180 days, the judge will give you credit for the 90 days you already did, and you will only have 90 days left. The court will also grant you a work permit if you submit the correct paperwork. On a final note, if you are convicted of a DUI, you will be required to carry what is called SR-22 insurance. This is ‘high risk’ insurance and is mandatory after you have been convicted of a DUI. Your privileges to drive will be revoked if you fail to carry high risk insurance. Previous Post: « Should I refuse to blow into a DUI breathalyzer?